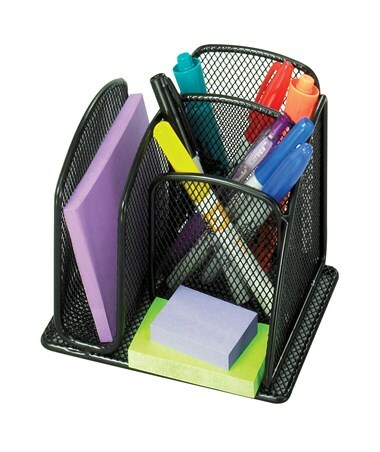 The Safco Onyx Mini Organizer is a compact organizer perfect for any desk’s sorting needs with minimal space requirement. It has a side compartment for pads and notes and two small compartments that can be used to store pens and other small items. 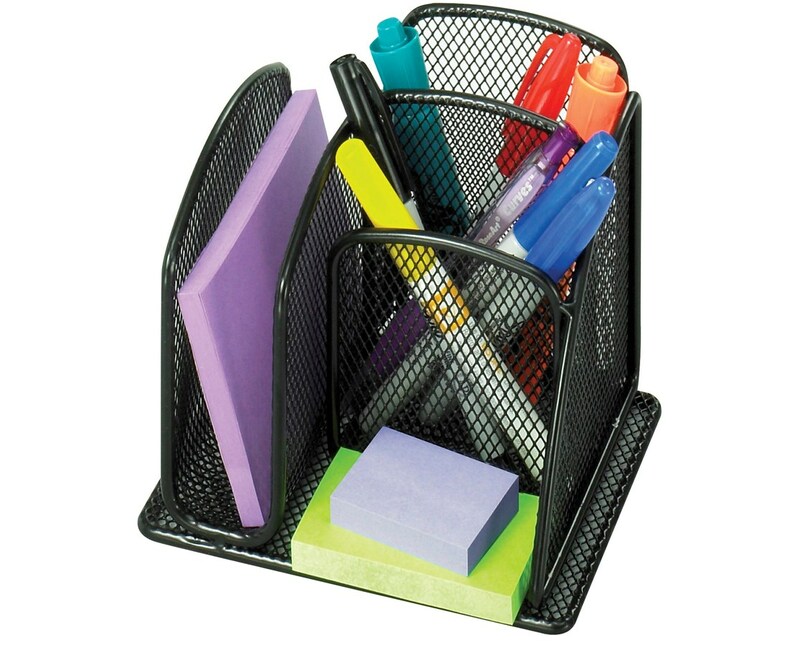 A small open space is also available for keeping other items like cell phones and smaller notepads. This compact storage unit is made of rounded steel and steel mesh with a powder coat finish. It is GREENGUARD certified which means it is safe for indoor use. Each pack includes six units.